MOUNTAIN AREA — Want to listen to your news on SNO? Across the Bridge airs regularly on KRYZ Community Radio 98.5 in Mariposa. 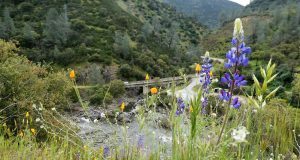 Hosted by Kellie Flanagan, Managing Editor of Sierra News Online, the community service segment features news and information of interest to the people of the Central Sierra. The program is engineered and produced by Ron Iudice. You can also listen to KRYZ’s great music and programs by logging onto www.kryzradio.org and following the prompts. Here’s this week’s edition of Across the Bridge.